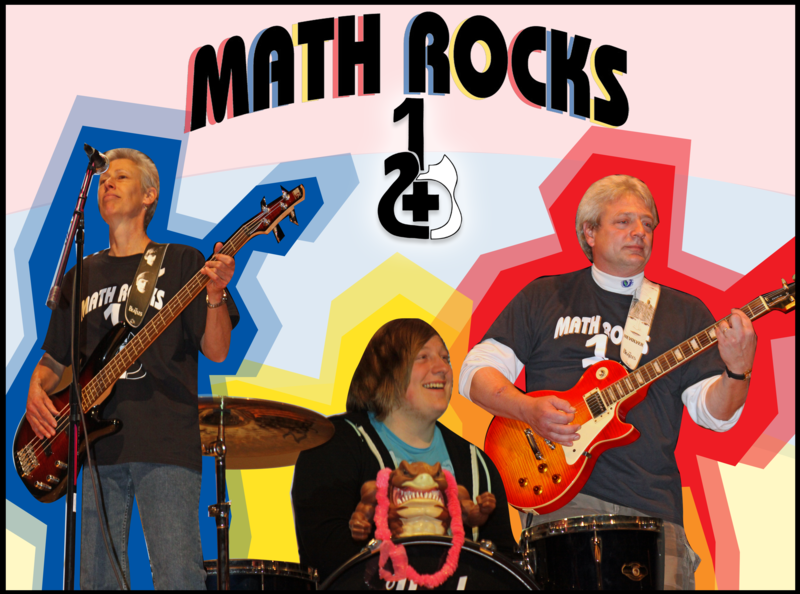 2 + 1 is comprised of middle school educators who have developed and present an innovative program called MathRocks! Their program combines the music of classic rock songs with original lyrics and PowerPoint slideshows to teach math concepts that range from basic counting to algebra. Check out our show schedule! Since its inception in 2007, 2 + 1 has performed at school assemblies, family fun nights, educator in-services and community events throughout the Lehigh Valley and northwestern New Jersey. Their unique way of connecting math and music has been showcased at the Mayfair Art & Music Festival, Arts Quest Center at Steel Stacks, as well as Musikfest, one of the largest music festivals in the nation. 2 + 1 has produced four CDs: Math Rocks!, Squared2, Power of Ten Songs and Gee, I’m a Tree! Their engaging way of presenting math concepts through a live musical performance has been featured on WFMZ (Channel 69) news broadcasts as well as NJN’s award-winning show, Classroom Close-Up NJ and NBC’s (Channel 10) news program, The Teacher Says. Their music and math songs can be viewed on both YouTube and TeacherTube, and are used by fellow educators to enhance and support classroom instruction nationally as well as in the United Kingdom.